Pluralistic Idealism research papers discuss one of the branches of idealism that was formed from the core belief systems of Brahmanism in India and certain Buddhist sects in China. Idealism is a school of philosophy which holds that the material world is a product of the mind or spirit and has no real existence of its own. It is one of the oldest branches of philosophy and formed the core of belief systems such as Brahmanism in India and certain Buddhist sects in China long before the Classical Greek philosopher Plato introduced it to the West. Pluralistic idealism is one of several subsystems of idealism. It depicts the university as a society of spirits or minds who together endow the material universe with its “reality” and meaning. Pluralistic idealism further holds that, although there may be a hierarchy among the minds, each individual spirit exists as an independent and valuable entity. Furthermore, because they believe that these many minds each has an autonomous existence, pluralistic idealists generally place strong emphasis on values such as individuality and freedom. Even though God may reign supreme in the society of minds, there are limits even on his power which ensure that no other member of the society is rendered insignificant. In this respect, pluralistic idealism differs considerably from monistic idealism, which also holds that the mind is all that exists, but which emphasizes the omnipotence of “the One”—the single, supreme Mind, or unified system of consciousness, that underlies and encompasses all of the Universe. Numerous philosophers have attempted, usually with limited success, to integrate monistic and pluralistic idealism. Pluralistic Society - Research papers on pluralistic society discuss the various elements that allow for the existence of a pluralistic society. Cultural Norms - Cultural Norms research papers discuss the norms that become the product of a cultures traditions, values and customs. Pluralism - Research papers on Pluralism discuss the idea of that argues there should be multiple influences or sources of authority to ensure one group or entity does not become overly powerful. Pluralist Theory - Research papers on pluralist theory discuss the line of thinking in the social sciences that suggests that power in various countries is distributed among various interest groups that are in constant competition with one another for control or influence. 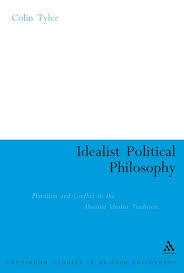 Classical Idealism - The term idealism has its roots in the Greek language. The word Idealism means, “to see”. Paper Masters writes custom research papers on Pluralistic Idealism and discuss one of the branches of idealism that was formed from the core belief systems of Brahmanism in India and certain Buddhist sects in China.